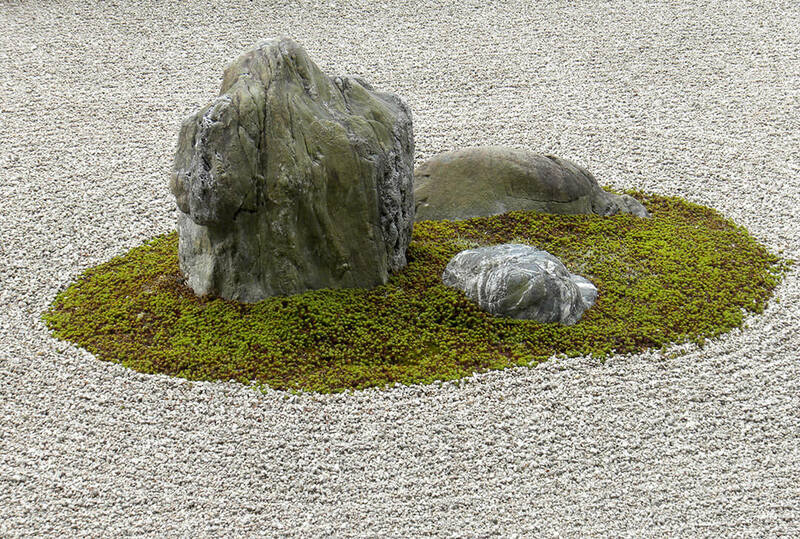 A gallery of spectacular images from Ryōan-ji, an ancient temple garden found in north-west Kyoto, Japan. 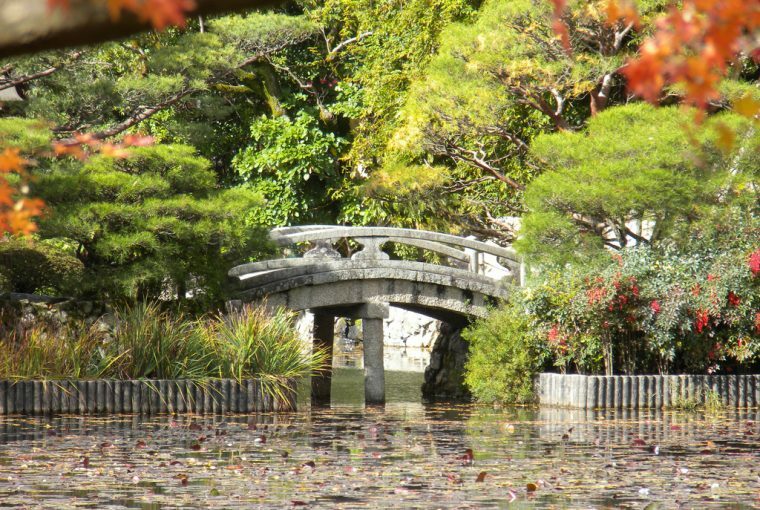 You can more about Ryōan-ji garden in our article on the oldest surviving gardens in the world here. A close-up of three of the fifteen stones that make up the garden. You can also clearly see the white gravel that is raked daily by the monks of the temple. Image © np&djjewell @ Flickr. 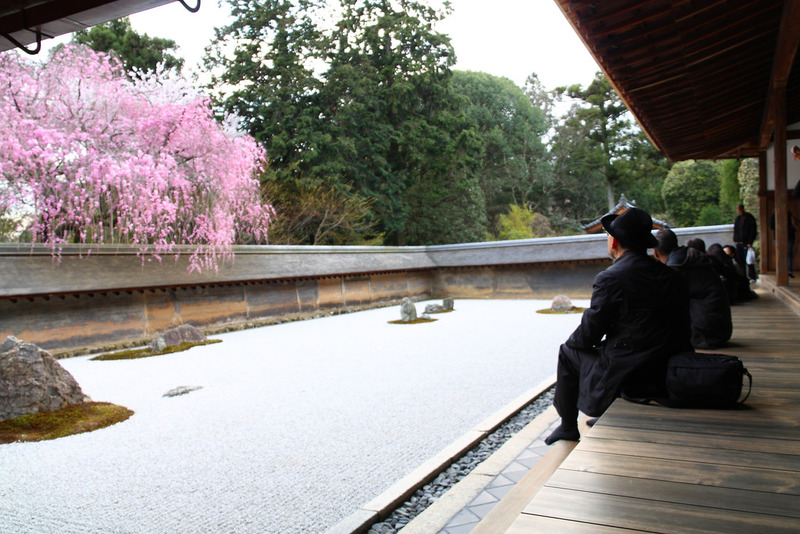 The stones are placed such that they cannot all be seen at the same time from the accompanying veranda. The are also placed so that you can never see more than 14 stones at a time. It is said that only once you have achieved enlightenment will you be able to see the fifteenth stone. Image © Wenjie, Zhang @ Flickr. 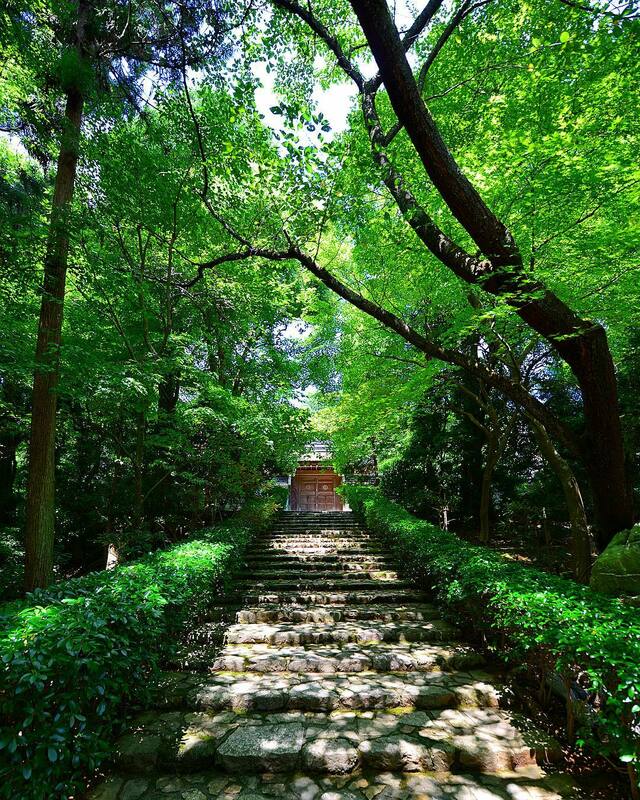 Steps leading to the temple. Image © katsu_e46 @ Instgram. 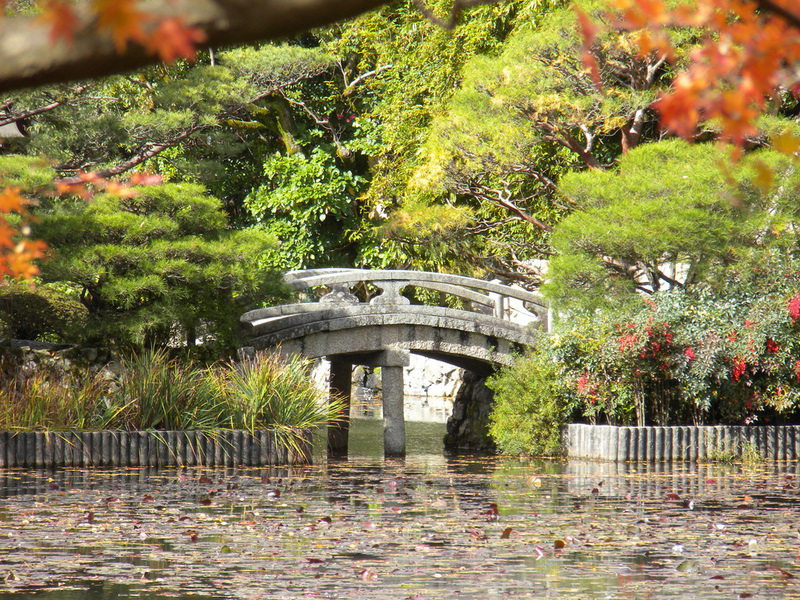 The lake and bridge accompanying the gardens. Image © np&djjewell @ Flickr. Cheating a little, this shot uses a wide-angle lens so that you can see the almost the entire composition. Image © Antonio Campoy @ Flickr.